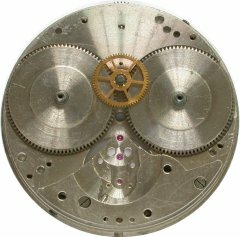 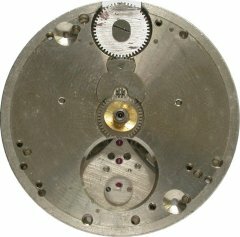 The construction of this timepiece is similar to a watch, even though it is referred to as a clock. 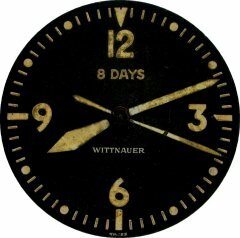 This Swiss aircraft clock was made by Wittnauer (Longines), circa 1950. 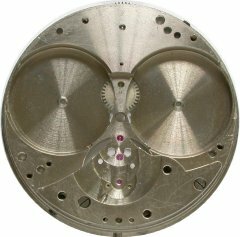 Two mainsprings provide enough torque to keep this aircraft clock running for 8 days. 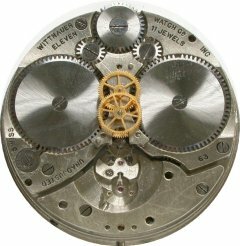 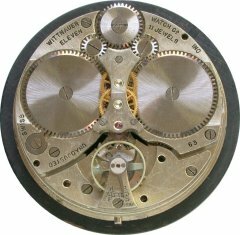 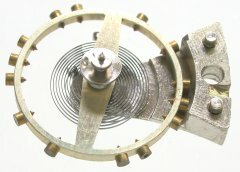 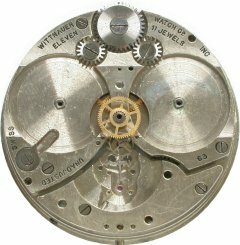 The construction of the balance wheel and escapement is similar to a watch of medium grade of that vintage, but the white alloy (Invar) hairspring has a Breguet overcoil, usually found in better watches.